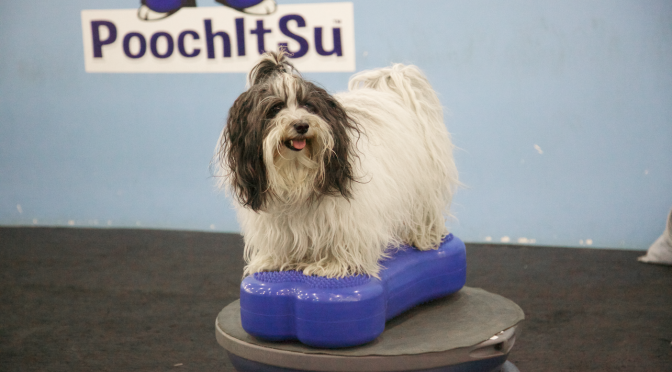 In our One Piece Conditioning: The Donut, FITbone, or Balance Disc we teach you how to condition your dog with a variety of different functional exercises that you can perform on a single piece of conditioning equipment regardless of which piece you have. It offers in depth explanations and comparisons of the advantages and disadvantages to each piece, and if you happen to have all three you might use different pieces for different exercises depending on what your conditioning goals are. 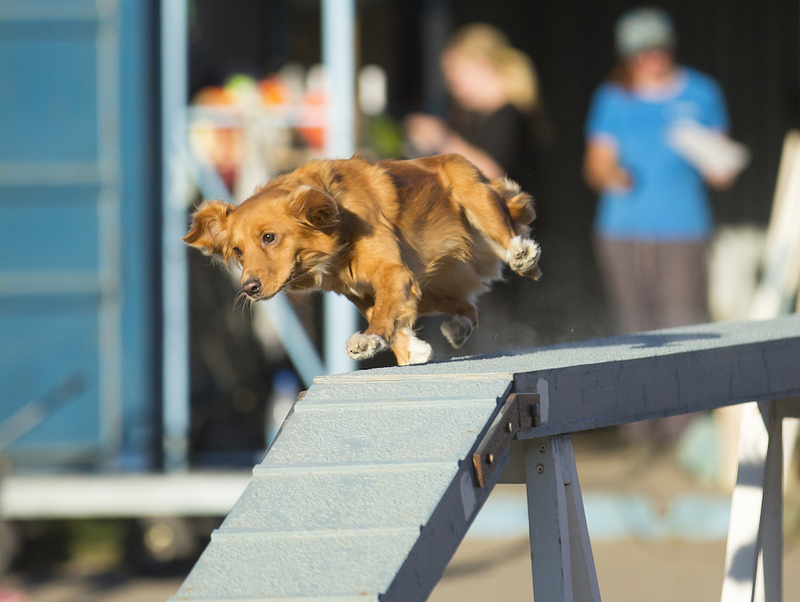 Your dog’s forelimb strength and stability is extremely important when performing their sport or being physically active as well. 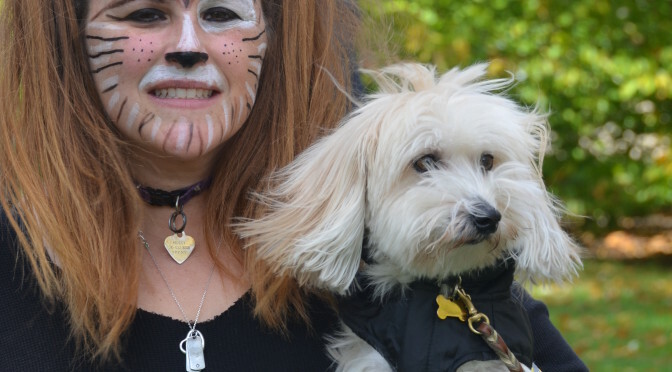 Forelimb extension in particular, will enable your dog to stop more quickly. Forelimb lift, will enable your dog to jump higher. 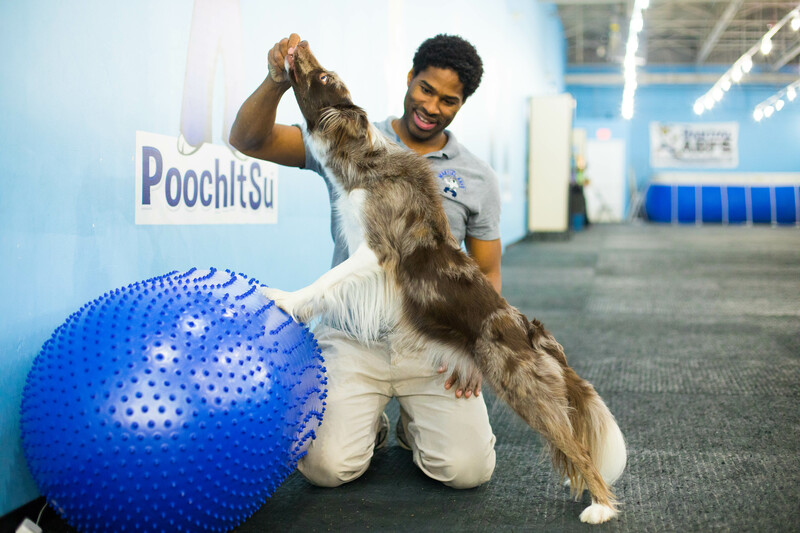 So by strengthening the muscle the increase your dog’s ability to lift their forelimb will in turn enable them to jump higher. In this video from our One Piece Conditioning: The Donut, FITbone, or Balance Disc Rue demonstrates our diagonal push up exercise. It strengthens the front, (cleidobrachialis) and back (triceps) or the forelimb equally. 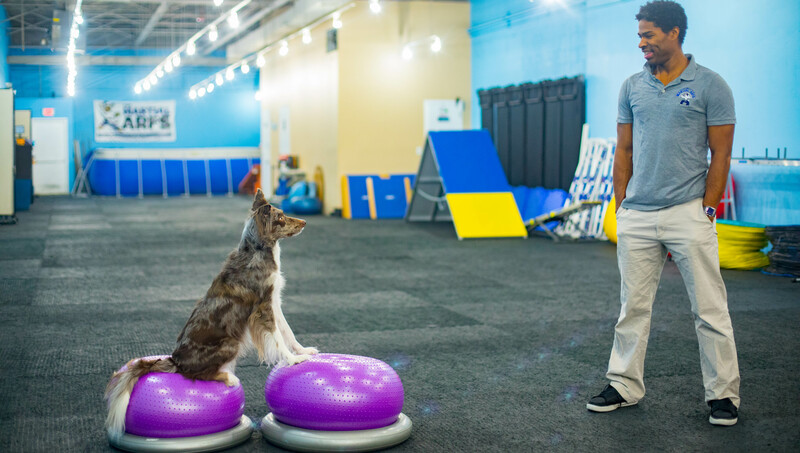 In order to get a strong contraction of the triceps you have to fully extend the limbs and allow the dog to “push” themselves back up from the floor. 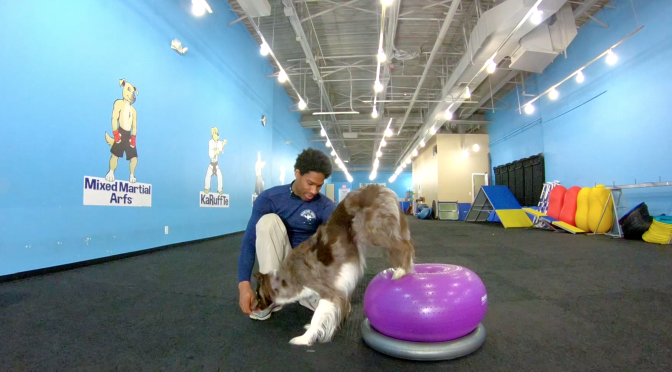 This movement can simulate the muscles used when your dog is trying to stop or slow down. Therefore it’s very useful for sport as every sport will require your dog to stop and or decelerate when performing.